Cheese, glorious cheese…is revered in this part of France and none more so than the well known Reblochon cheese. Hailing from the Haute Savoie the local Savoyards are very proud of their cheeses. The Fete du Reblochon – An annual summer fête for this famous cheese – Reblochon is a testament to this fact. Having written a few other posts about this wonderful and versatile cheese, I’ll keep its history brief. Reblochon was born in the 13th century in Thones a small market town that still proudly calls itself the capital of Reblochon and is where the main production of Reblochon is centred. It gained the AOC status 57 years ago in 2008 and is one of only 47 French cheeses to hold this prestigious status. This was my first visit to The Fete du Reblochon, an annual event in La Clusaz in the Haute Savoie and I had no idea how popular it would be. La Clusaz is a traditional Savoyard village in the Aravis mountain range with a town square and attractive church and is a well-known ski resort. People were swarming in from all sides and all parts of France, coach loads delivering eager Reblochon and tartiflette fans and free bus services running from the parking areas. 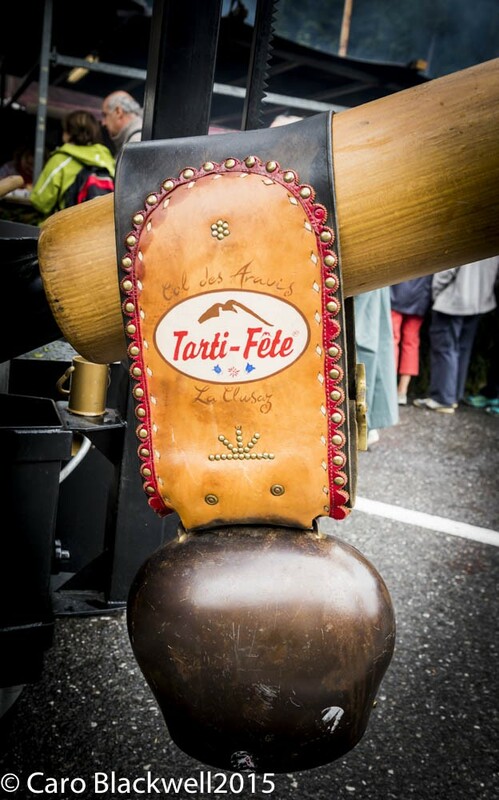 The wonderful aroma of tartiflette cooking wafted all around and a local Savoyard band in their regional costumes were enthusiastically singing and playing to a happy swaying crowd. Woodsmen showed off their skills demonstrating classic wood crafting, carving and making a small section of a traditional wooden tiled roof (a tavaillon) using the historic tools that would have been used in years gone by. There were other craftsmen and women demonstrating traditional skills used in former times in this region like spinning wool and working with leather. A procession of sheep, goats and cows travel through the town to the fête, along with carnival style floats of the craftsmen. There are competitions for the best herds and I even saw a guess the weight of this sheep competition! The herdsmen parade through ringing the huge cow bells and many local people are dressed in their traditional costumes. 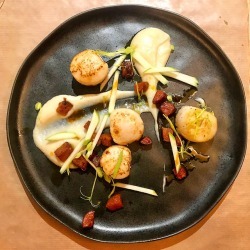 The conviviality and feeling of a close community at this fête is really heartwarming, especially for those who understand the importance of good french produce! Cheese tasting was very much at the fore at the Fete du Reblochon and the cheeses on offer alongside the Reblochon Fermier were Abondance, Tomme de Savoie, Tomme Blanche and Chevrotin (a Reblochon style round cheese made with goats cheese) all cheeses hailing from the Savoie region. Other Savoyard specialities were also on offer, the mountain charcuterie and artisanal breads and beers. 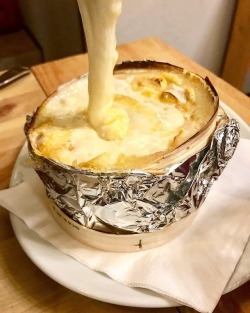 I hardly need to tell you what the main item on the menu for lunch was – but I have never seen such an enormous tartiflette pan – in fact, there were two. Other Savoyard dishes included Diots with polenta. A gorgeous array of sweet tarts were on offer too. This Reblochon festival (The Fete du Reblochon) was clearly being thoroughly enjoyed by the local farmers and Savoyards as many were dressed in their traditional costumes and the celebrations planned continued well into the evening with dinner and dancing. This is a fun day out for all the family offering great rural entertainment, it is normally held annually mid-August and I think it may have to become an annual pilgrimage for me! Thank you and you’re right it is one of the things I love so much about France and the French, their ability to revere and celebrate food and wine! this Fete was well worth visiting if you get the chance!